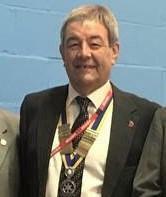 Rotary Club of Danetre Daventry - welcome! Please scroll/swipe down through this page to find out more about us, in addition to the pages linked in the menu, top-left. 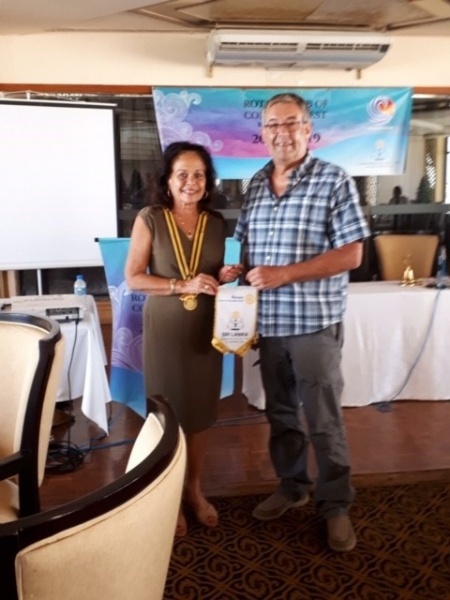 President Paul of Danetre Daventry & Rohina Markar, President of the Rotary Club of Colombo West, Sri Lanka. Paul & Junior Vice President, Alan Rumsey visited the Colombo West Club, attending their normal weekly luncheon at the California Grill on the top floor of the Hotel Galadari in Colombo. 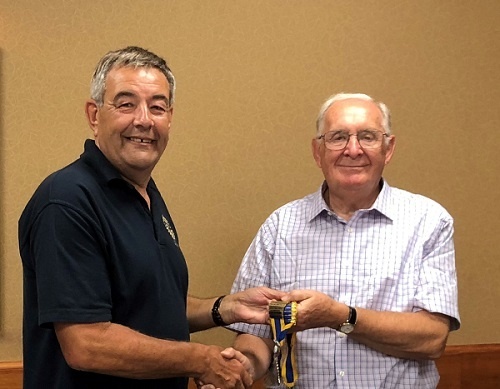 Nick Blunt (right) hands over the Presidents regalia to Paul Blackwell who is the 2018-19 President. 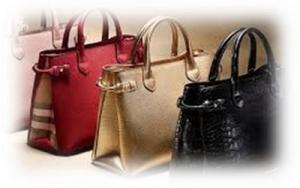 We have made it easy for you to donate to the Danetre Rotary Charity. Just click anywhere on the box below. Don't forget Gift Aid as you process your donation. For UK Tax Payers this will add 25% to any donation. Welcome to Danetre Rotary Club! Rotary is all about "Service above Self". We provide resources and support for local community groups. We organise events and competitions that embrace the young, and the not so young, around Daventry. We provide local fundraising and awareness creation support for global health, social welfare and disaster response campaigns such as End Polio Now, Rotary Shoebox Scheme and Water Survival boxes. And we have fun and fellowship doing it! 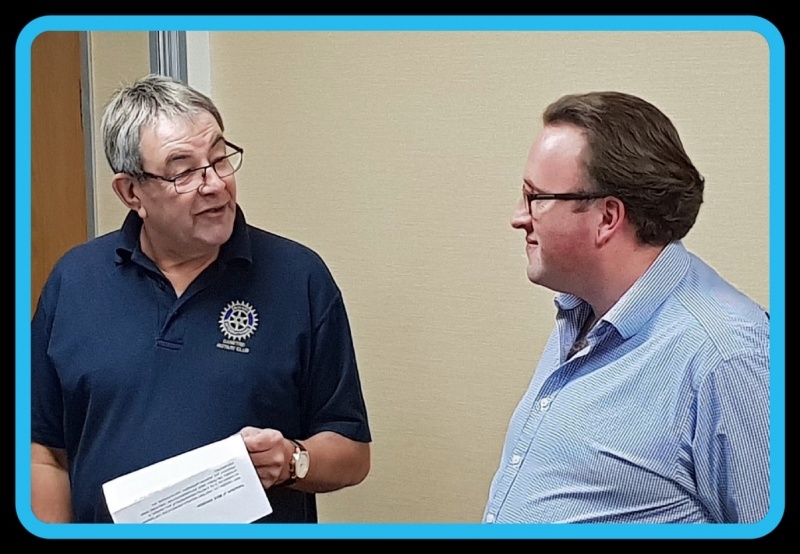 Danetre Rotary is an open and friendly club, currently with 24 members representing all ages from 30's upwards, from all walks of life and living in and around Daventry. The one thing we all have in common is our wish to offer our skills and some of our spare time and energy to help others. 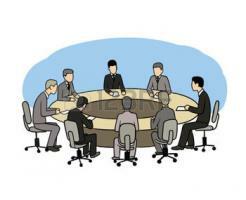 Contact us if you are interested in getting involved and joining us at Danetre Rotary.